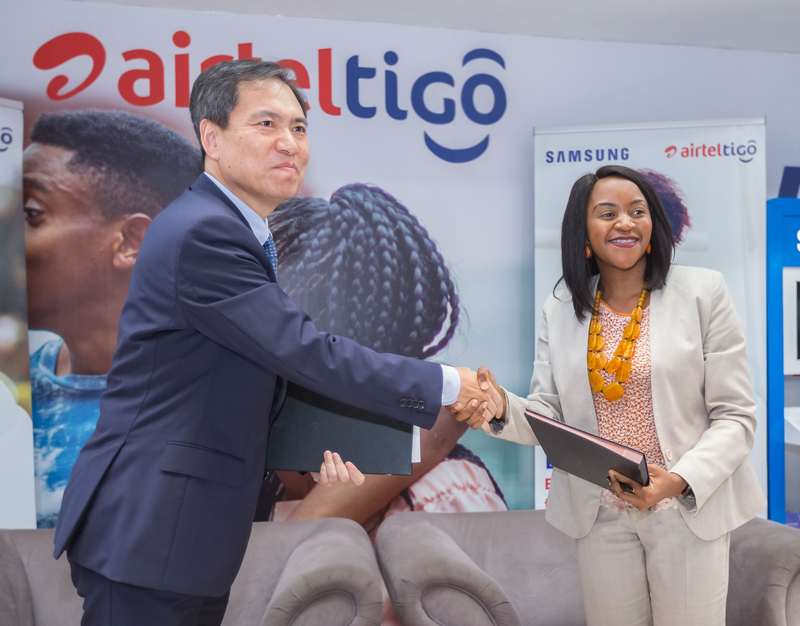 Telecom operator, AirtelTigo, has teamed up with smartphone maker Samsung to launch “Life Just Got Lit” smartphone campaign aimed to fulfill the digital aspirations of millions of Ghanaians. The free data and voice minutes for each customer will vary according to the price of the Samsung phone purchased and will be awarded every month for a whole year. For instance, for the purchase of a GHS500 phone, a customer will get a 1GB data which does not expire and 1,000 minutesto call AirtelTigo lines free, monthly for the next 12 months. To enjoy the free data and voice minutes, customers will have to dial *536# to activate the offer for the first month and recharge their lineswith GHS2and above every month. “This year marks 10 years of Galaxy, of relentless and meaningful innovations that have shaped and will continue to define the mobile industry and we are proud.For us at Samsung, this partnership with AirtelTigo has come at the right time and we are excited to be part of growing Ghanaians digitally through the “Life Just Got Lit” campaign,” he stated.